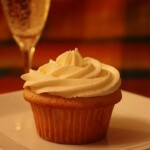 champagne cupcake recipe | Stay Calm, Have A Cupcake! I’ve been quite a busy bee the past few months and have, admittedly, been slacking on my blog posts. Well, New Year = New Goals, right?! I’m going to try and post 2 recipes every week! 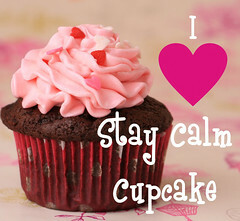 I keep trucking away on growing my cupcake business – and things are going pretty good if I do say so myself. 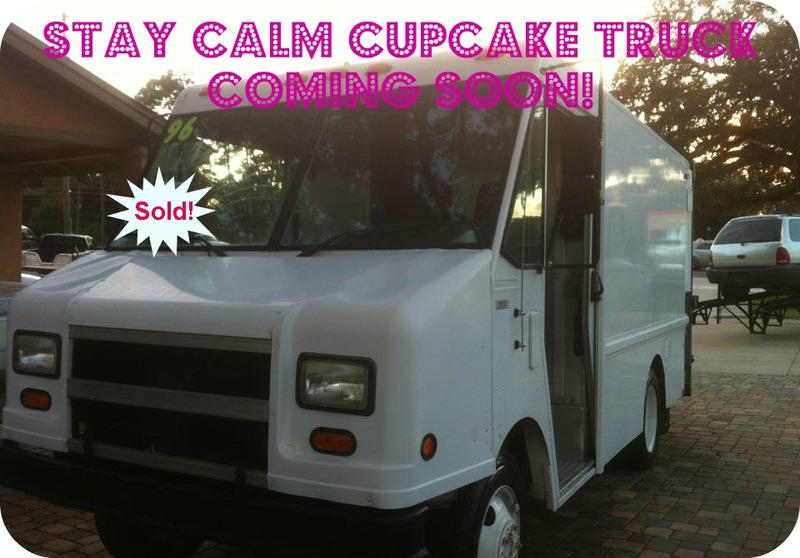 We are still working on renovating the cupcake truck and plan to have it up and running in February. I can’t even tell you how excited I am about it! Picture to come soon, I promise! 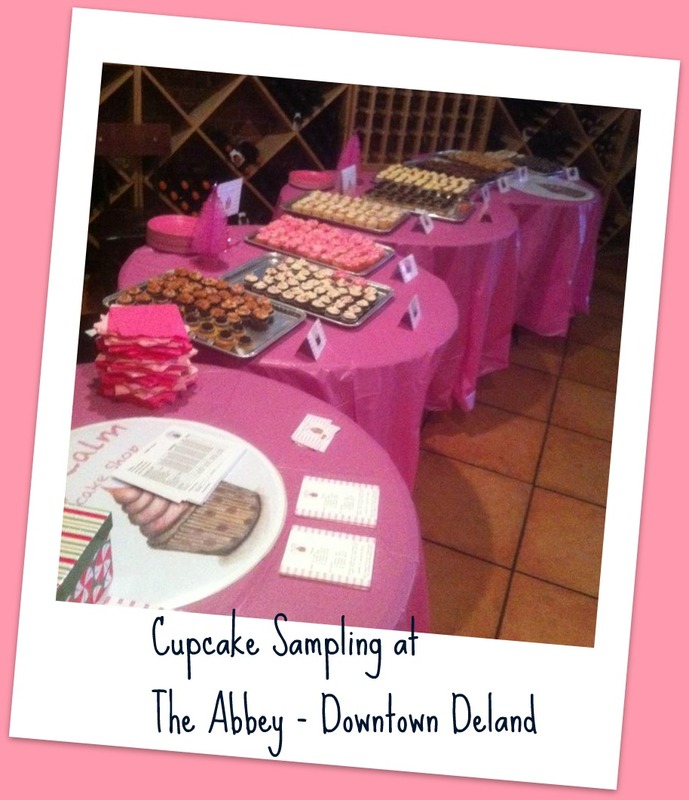 I also had my first cupcake event at a local wine bar and it was a sweet, sweet success. 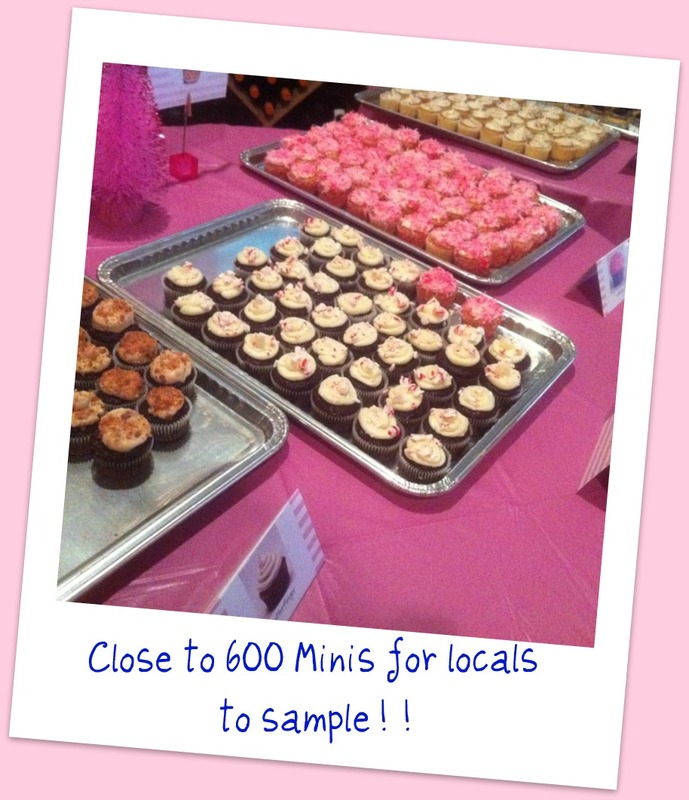 I baked like a crazy women 600 mini cupcakes to give away as samples. People who came to the event were so friendly and so excited about my cupcakes. It felt really good to know that what I’ve been working toward for so long is starting to come together. Also, my Etsy shop is still booming – keep an eye out for new Valentine treats and some really good discount codes! Ok, enough about me. Are you ready to whip up a batch of deliciously boozy cupcakes? Great! Let’s get started. In a mixing bowl whisk together the flour, baking powder, and salt. Set aside. Separate the eggs, placing the yolks in one bowl and the whites in another bowl. Using an electric mixer, or with a hand mixer, beat the butter until soft (about 1-2 minutes). Add 3/4 cup of the sugar and beat until light and fluffy (about 2-3 minutes). Scrape down the sides of the bowl. Add egg yolks, one at a time, beating well after each addition. Use a hand mixer to beat the egg whites until foamy. Add the cream of tartar and continue beating until soft peaks form. Gradually add the remaining 1/4 cup of sugar and continue to beat until stiff peaks form. Gently fold the egg whites into the batter until combined. Do not over mix the batter or it will deflate. These cupcakes are delicious and add the perfect amount of elegance to any party. I like to decorate them with little pink and white pearls. 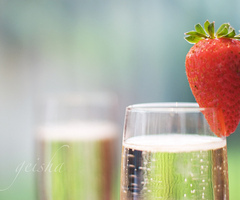 What is more decadent than champagne and strawberries? How about a Champagne cupcake with fresh strawberries topped with fluffly vanilla buttercream! I’m practically drooling just typing! This Strawberry Champagne cupcake is the perfect treat for a New Years eve party, a New Years day lunch, or even a sweet little toast on Christmas Night. 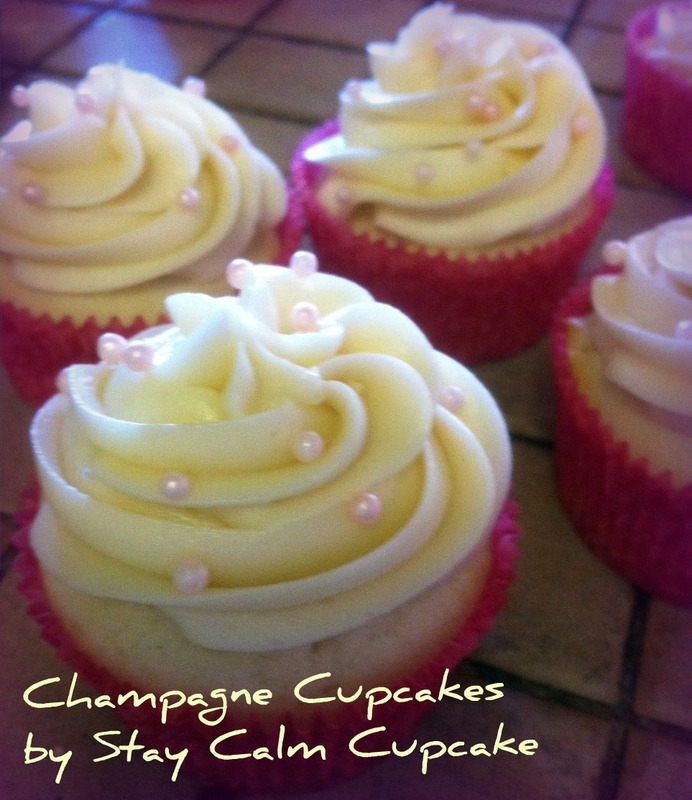 The subtle champagne flavor is complimented by fresh strawberries and creamy homemade buttercream frosting. This cupcake is just so perfectly romantic that I can’t imagine not making it this New Years! Preheat oven to 350 degrees F. Prepare a cupcake pan with liners. In another large bowl, beat egg whites until stiff peaks form. Fold 1/3 of the whites into batter to lighten it, then fold in remaining egg whites. After the cupcakes are cooled and frosted, top each cupcake with half of a sugar dipped strawberry. 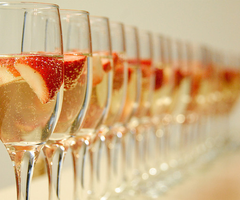 A cute serving idea is to place each cupcake in a plastic champagne glass.